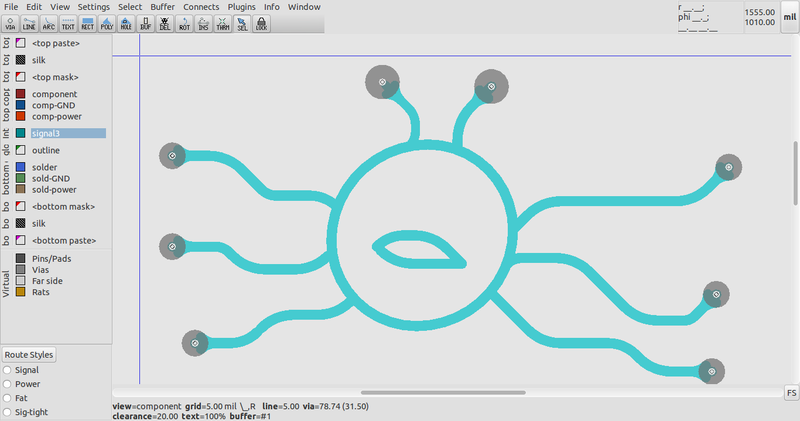 Recent refinement of the pcb-rnd rubber band code has allowed a radius to be specified (other than the default of zero radius) when routing tracks. are used to alter the radius used for bends in the track being routed. These settings can also be adjusted in the preferences dialog. 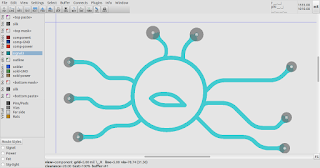 With this capability, free-form, artistic trackwork is easier without needing other vector drawing utilities for copper, silk and outline layer features. DJ Delorie's teardrop code is a longstanding plugin available for both pcb-rnd and gEDA PCB. The teardrops() plugin is enabled in pcb-rnd by default. Beyond the merely artistic, this "banana mode" ability is also of interest to those routing RF and high speed signals on their PCB. DRC can auto enforce clearances around other features while rubber banding as well, as seen in the videos below. Here is the angle preserving rubber band mode. Here is the bendy knee support in action. 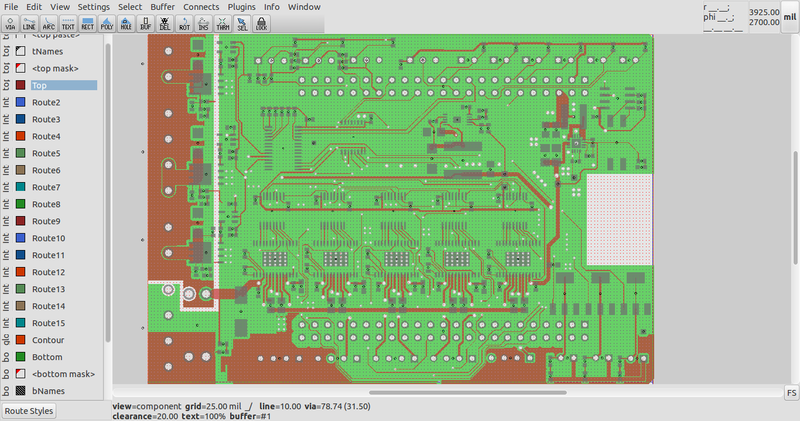 Taking advantage of the modular import/export infrastructure in pcb-rnd that was first exploited for KiCad s-expression and KiCad legacy layout support, an IO module has recently been developed to allow native import of Eagle XML (.brd) layout files. 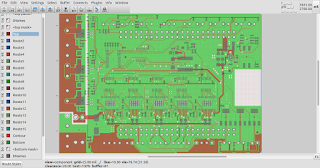 pcb-rnd now has native Eagle Binary (V3, v4, v5) import support, as well as Eagle XML and Eagle Binary library (.lib) support. This is a significant milestone as it allows recovery of archived Eagle XML and binary format designs by existing or previous Eagle users, as well as facilitating continued distribution and use of open hardware designs originally designed in Eagle and then shared with the maker/OSHW community. Further testing is needed to refine text scaling and validate element placement/rotation routines. Users are invited to experiment and make feature requests or report any issues.